When I was young, I was told I talked to myself alot. Nobody had to actually tell me that, because of course I knew I did it. But I think it’s gotten worse now that I’m at home with two little ones full time now. There’s something about not having adult conversation too much – especially when you go from a job where you have intelligent conversations (or at least pretend to be intelligent) to talking about dinosaurs, “the man with the yellow hat” and cowboys!! Mix in several feedings & diaper changes along the way & I guess talking to myself is my form of expression – sad isn’t it?!? Two things made me realize I’m doing it more & more. One – Evan asked me who I was talking to in the car the other day. Poor thing, I’m going to give him a complex. And two – while I was making Becky’s Chicken Pot Pie (yum-o) I realized I was having conversations in my head as if I was Rachel Ray making it for my studio audience!!! I think I need to get out more! Oh & in case you’re wondering (but probably you’re not), my favorite “line” during my studio audience taping was, “and lastly add the chicken … it wouldn’t be Chicken Pot Pie without the chicken (giggle to self)”! I love giving stuff away … wether it’s cleaning out my house to the Salvation Army, wrapping something up in a nice little package for a friend or family’s gift, or to complete strangers in a Bloggy Giveaway because I love to “feel the love” … I pretend each of you comment because you actually like & enjoy my blog – not my giveaway! Stupid, I know! So are you a VB fanatic or do you just happen to have a couple pieces here & there like me?? Leave me a comment & let me know how many pieces you have (approximation will work just fine … I’m not coming to your house to check)!! 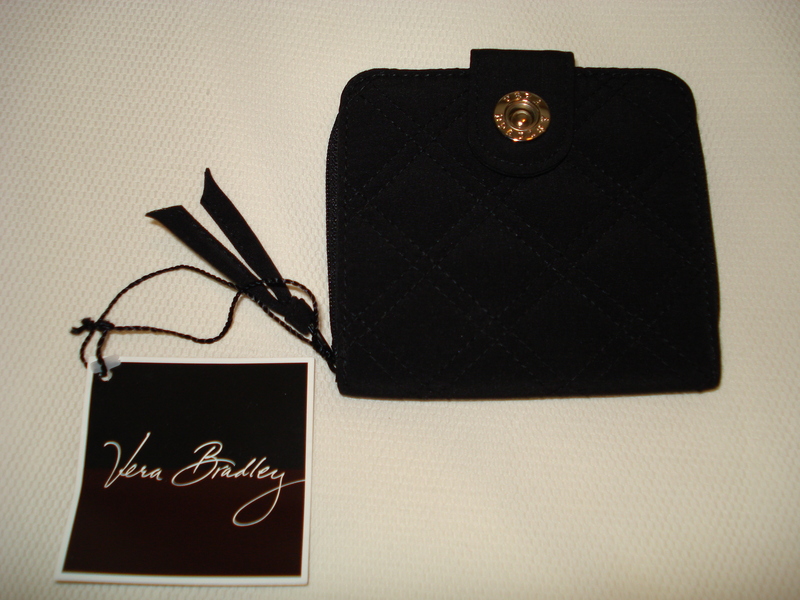 I’ll draw a winner on November 1st … oh & if you are a VB fanatic – go to Staci’s giveaway too! I still get very proud these days if I can leave the house before 10am with Evan, Megan & myself all clean & in real clothes!! Today was one of those days. At 8:45am I had Megan in my arms & Evan was following behind me to get in the car. It’s only a half-day at school today (which is incredibly funny since it’s only a half-day to begin with), so I was going to take advantage of every minute!! Unfortunately, I opened up the car door & Evan’s seat was missing!! Pep took him to soccer last night & forgot to make the change back – oh brother!! We use to have a spare, but he’s outgrown it now. So we’re all dressed up & no where to go! Does your Dr. have anything to pass the time?? Thanksgiving cannot come soon enough!! Sure, I love turkey (can do without the stuffing & dressing), smoked ham, sweet potato casserole, broccoli casserole & pumpkin pie, but what I love even more is that I just learned that Thanksgiving is coming a few days early in the form a 24 special – a 2-hour event!! Did you 24 fans know this? Am I about 7-weeks behind?? It comes on Sunday, November 23rd & will set the stage for Season Seven which starts in January!!! Jack is back … finally!!! Poor Megan’s been sick off and on recently. And last night we started back “on” again. Poor little thing’s had a runny nose, congestion, and the cough that could compete with any 80-year old smoker!! I took her to our Pediatrician today primarily just because it was Friday. I honestly didn’t think she’d do or say much more than she has a cold & there’s nothing we can really do but wait it out & make sure it doesn’t get worse. When we got to the Dr., the Pediatrician did all the normal stuff while Megan was crying like crazy … and she pretty much said it’s probably nothing but a viral cold BUT because she’s only 7-weeks and her temp has been up & she’s so incredibly upset, I want to get some blood work to rule out any infections. Thus the beginning of our trip to the ER at Scottish Rite. The Pediatrician hugs me as I’m leaving her office because I’m crying – not so much because I thought Megan was incredibly sick or that they’d find something wrong, but because my visual of watching Evan being strapped to this enormous machine at just 3 months and have a CT SCAN flashed in my head. I didn’t want to watch Megan being hooked up to a bunch of scary things. She was only 7-weeks old and between her having trouble eating and being sick off and on so much, I was sad that she hasn’t been happy to much these first 7-weeks! Back to the trip to the er … Fortunately Pep had just gotten home & Evan was with my parents so we headed on down. We get to the hospital & valet the car – yes, I did say VALET … that makes me laugh. An incredibly nice service, but it felt very funny to tip someone as we checking in!! We sign all the papers & are taken into the waiting room. Pep & I look at the packed room & then each other knowing this is going to take a while! And it will of course feel even longer because Megan can’t eat until AFTER she’s seen! After just a few minutes two people check with the front desk to see what’s taking so long. After about 5-10 minutes, the first nurse comes out that we’ve seen and she calls for Megan. I can feel about 24 sets of eyes staring a hole into us as we walk back … they are not happy that we pop in & are called back before them!!! She was the youngest patient there so I’m pretty sure that’s why they took us back so quickly. As soon as we got to a room, the Dr. came in before the nurse even had all her vitals. You can tell they don’t want to mess around with a 7-week old. Urine tests, blood work, and “snot” samplings later we’re back at home knowing that all those tests came back fine and she just has a bad cold (after we got our car back from “valet” of course!). Which means I’ll probably have another several nights of a restless & unhappy camper, but that’s fine by me because she’s well. We were in Room No. 34 of the ER wing. I heard them paging as high as 48, but of course there’s many more. Scottish Rite just makes my heart sad. It makes me happy because it’s great that Atlanta has a true “children’s” hospital, but it makes me sad too. Sickness in any age is sad, but in children it’s just not fair!! I just pulled a 3ft crocodile and two elephants out from under the covers of our bed … all stuffed of course! Not sure what message Evan was trying to send with that one! Do you double check your receipts? As much as possible I try to, but more times than not I’m usually trying to get in & out of a store before any freak-out may occur. I try to watch as items are scanned & that works out pretty good if you have only a few items but otherwise that can be pretty tricky. But in a matter of just a few weeks I was overcharged by $25 … and that’s just the times I actually caught it!!! TARGET overcharged me $13!!!! On three separate items the cashier charged me for a more than one quantity when only one was purchased. KROGER overcharged me $5 on some formula that was on sale. And OLD NAVY overcharged me $7 for some pants that were on sale. The sad part is that I only recovered the $7 from Old Navy. With gas shortages & prices, the $13 wasn’t worth it because it wasn’t my “normal” Target. And by the time I realized the formula didn’t ring up right I was just to lazy (or busy) to chase it down. Do you think it was just a case of getting in the wrong line a few times to many this month or do you think that’s normal. What if we’re overcharged by as much (or as little) as $25 every month … It’s my money & I want it now!!! (to quote a line from TitleMax). But here’s a tip … always check your deli meat. One time KROGER ran me up for $79 for 1lb of turkey instead of $7.90!!!! Now that one I most definitely got refunded!!! 1. Put your car in park. 3. Listen to your 5-week old baby scream. 4. Feed your screaming 5-week old baby. 5. Count the number of people that think they’re more important than everyone else waiting in line (and don’t use the excuse “I didn’t see the line” … there’s a line at EVERY gas station in ATL!!). 6. Eat lunch … heck you could eat a whole 5-course meal! 7. Listen to your baby scream some more. 8. Paint your nails … and watch them dry!! 9. Take aLOT of deep breaths! 10. Know that you now have gas so you can go see your best friend & meet her new baby!!!!!!! What have you done while waiting in line? ?